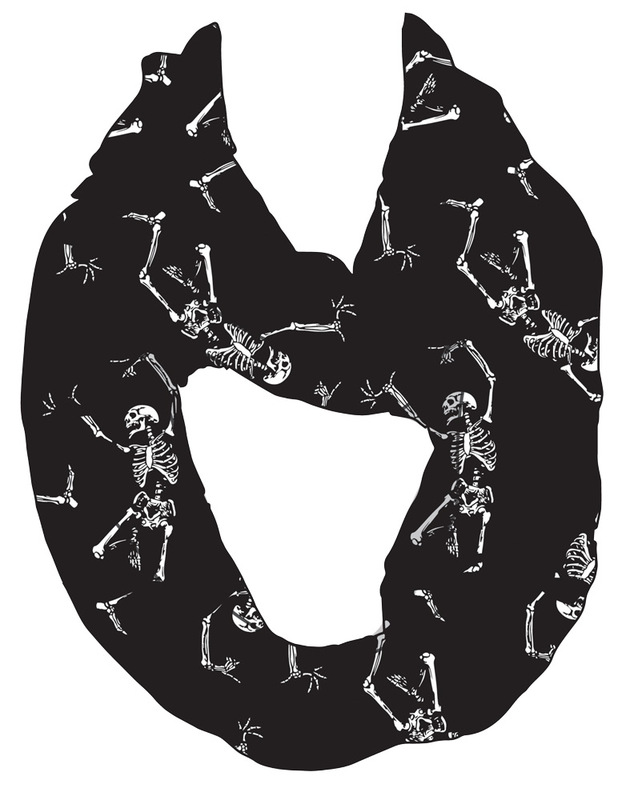 A great accessory for any halloween costume, goth ensemble or just to show your mood every day comes this great infinity scarf with dancing skeletons on it! Polyester. One size fits most.